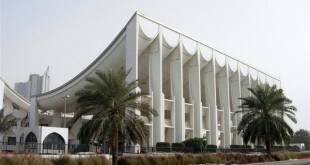 KUWAIT CITY, Feb 20: At the time of going to the press, Candidate Ali Abdullah Al-Khamis was leading in the byelection of the Third Constituency with 6,715 votes, as reported by Kuwait Television. He was followed by Abdullah Ahmad Al-Kandari with 4,288 votes and Osama Yusuf Al-Tahous in third place with 3,375 votes, followed by Hisham Al-Baghli with 2,505 votes and Ahmad Nabil Al-Fadhel with 1,246 votes respectively. Meanwhile, his Highness the Amir Sheikh Sabah Al-Ahmad Al-Jaber Al-Sabah congratulated citizens on the success of the by-elections lauding the great role of judiciary, interior ministry and ministry of information in this regard. 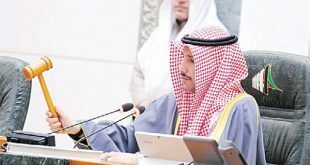 His highness also lauded great cooperation shown by voters, which contributed to championing the electoral process in a manner that reflected the homeland’s civil and democratic image. 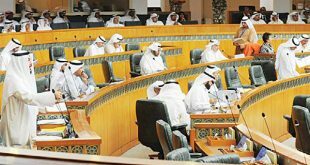 More than 81,000 Kuwaitis in the Third Constituency participated in the byelections held to fill the parliamentary seat vacated by the late MP Nabil Al-Fadel who passed away in December 2015. A total of 34 candidates from the constituency, which includes Jabriya, Surra, South Surra, Qortuba, Yarmouk, Kaifan, Khaitan, Rawda, Adeliya and Khaldiya, contested the supplementary elections. Around 20 polling stations were allocated in public schools in the constituency where the voting process started at 8:00 am and ended at 8:00 pm. Arab Times visited some polling stations in which several voters and representatives of candidates were interviewed. Naser Al-Qadouri — spokesperson of candidate and former MP Osama Al-Tahous — explained the objectives of the latter such as protecting public funds and freedom of speech, as well as curbing corruption in government institutions. Asked if his candidate supports the austerity measures that the government is taking to cope with the current economic situation, Al-Qadour responded in the affirmative but he was quick to add that such measures should not affect the pockets of citizens because the country has enough wealth. 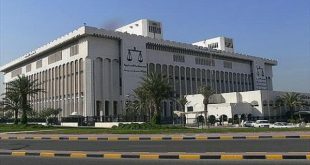 Asked if the government is taking the right step in terms of the austerity measures which include lifting subsidies on some essential goods and services, Al-Qadour pointed out that if these measures are necessary; then the government must begin with traders and businessmen, not the essential commodities like oil and kerosene. On the candidate’s chances of winning in this election, Al-Qadour hopes for victory considering his candidate has prepared good and effective electoral programs. He disclosed that results of a recent opinion poll in Khaitan showed Al-Tahous as one of the candidates who was most likely to win especially since he is wellknown in the previous Parliament. Furthermore, Mubarak Al-Obaid, who spoke on behalf of his candidate Ahmed Nabil Al-Fadel — son of the late MP Nabil Al-Fadel, revealed his candidate will continue his father’s program except the Islamic subject which his father demanded to be removed from the curriculum. He clarified the plan of his candidate is to modify the subject to include all sects — Sunna, Shia and Christianity, not to remove it. Asked if his candidate will be like his father in terms of attacking the Muslim Brotherhood in Kuwait and abroad, Al-Obaidi affirmed his candidate will follow in his father’s footsteps and even tougher when it comes to moderate and liberal ideologies. He rejects the notion that attacking the brotherhood is an attack on Islam, because the brotherhood does not represent Islam. He described the brotherhood as extremist, racist and deviant. On the government’s austerity measures, Al-Obaid said his candidate does not support these measures due to the effect on citizens once the government lifts subsidies on oil and other essential commodities and services. He added his candidate only supports the government’s decision to reduce its expenditures and lift subsidies on businessmen to correct the economic situation in the country. Meanwhile, speaking to the Arab Times after casting his vote, Abu Yousef stressed the need to reform the country, take good care of expatriates, and implement retirees’ health insurance and handicapped welfare programs. Asked which of the pending problems must be addressed by the government, Abu Yousef said that as a citizen he is really concerned about the budget defi cit, deteriorating performance of the Kuwaiti stock exchange and the mega projects such as Al-Hariri City, Al-Jabir Hospital and Al-Jaber Causeway (bridge) among others On the austerity measures, Abu Yousef asserted the government is taking the right step in correcting the country’s economic situation. He emphasized the need for the government to do this in cooperation with the Parliament. He believes the government is taking these measures to overcome the consequences of the global economic crisis.